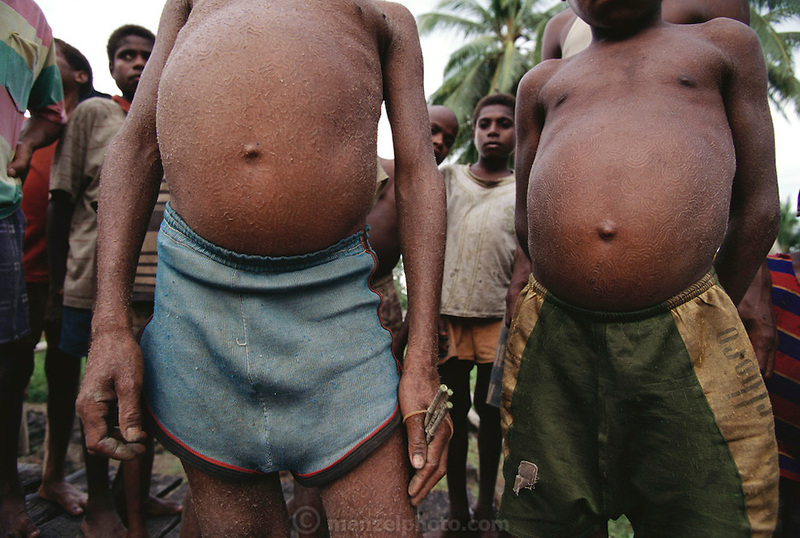 Young boys show symptoms of skin disease in Komor village in the Asmat. Komor village, Irian Jaya, Indonesia. The Asmat, a large, steamy hot tidal swamp. Image from the book project Man Eating Bugs: The Art and Science of Eating Insects.